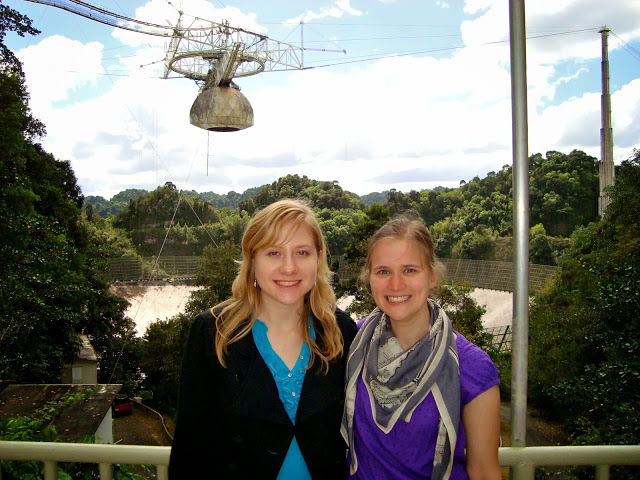 The Arecibo 305-m radio telescope in Puerto Rico. Bringing the world's largest radio telescope to the F&M campus. 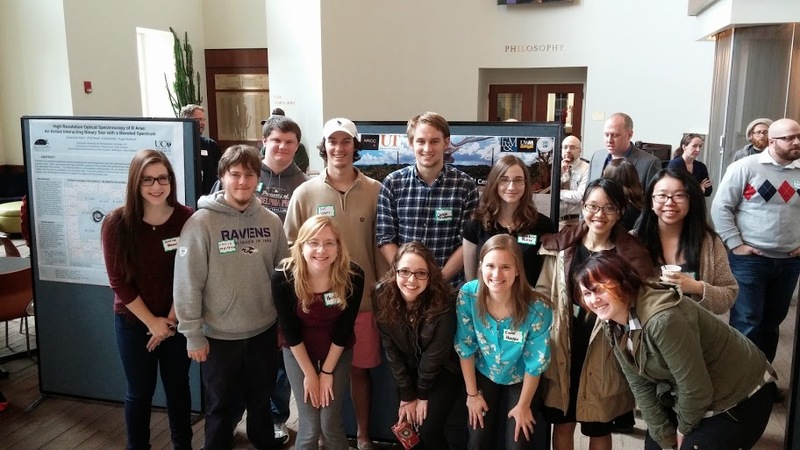 The NANOStars research and education program is part of NANOGrav, an effort to detect gravitational waves using pulsar timing. 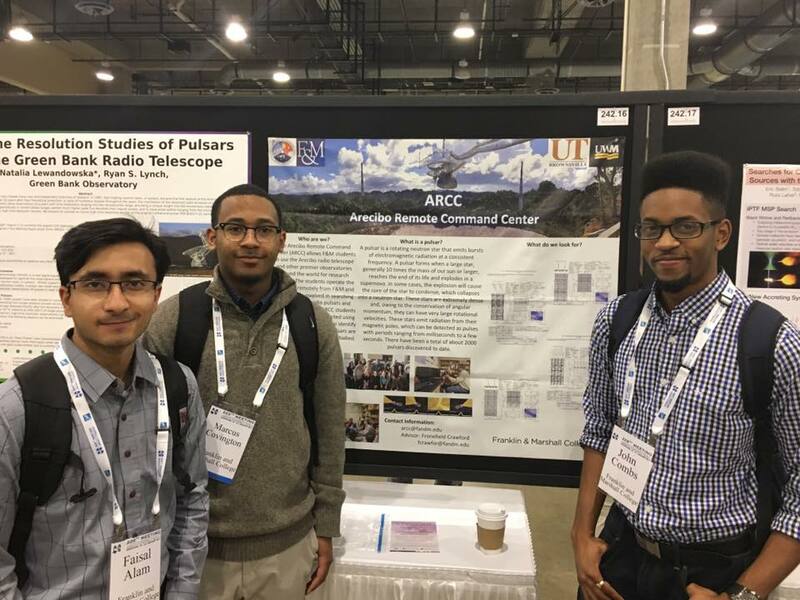 NANOStars allows F&M students to use the Arecibo radio telescope and other premier observatories around the world for pulsar search and timing projects. 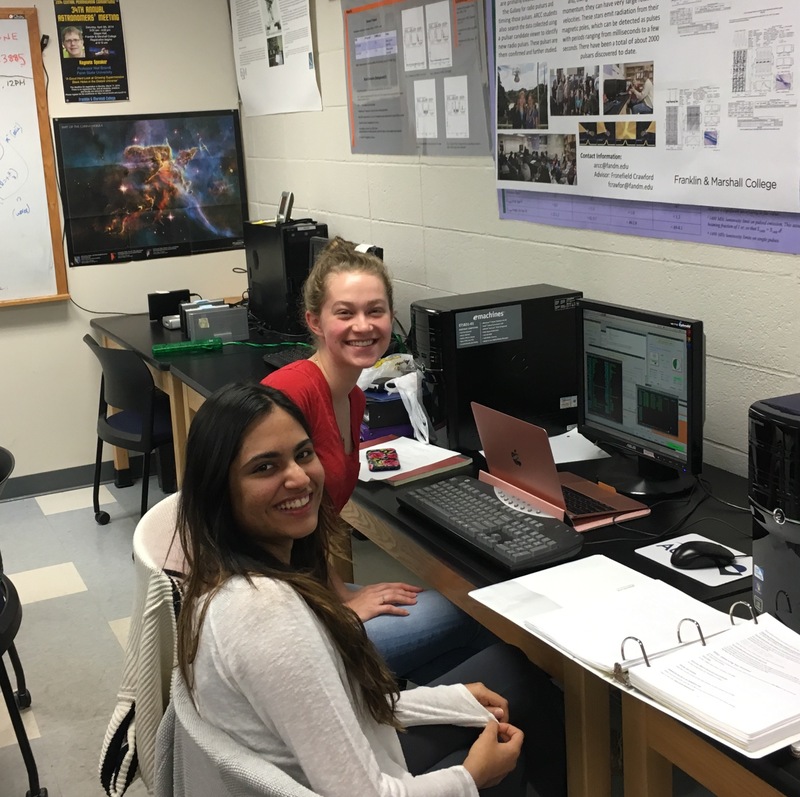 The students operate the telescope remotely from F&M and are primarily involved in searching the Galaxy for radio pulsars and timing those pulsars. 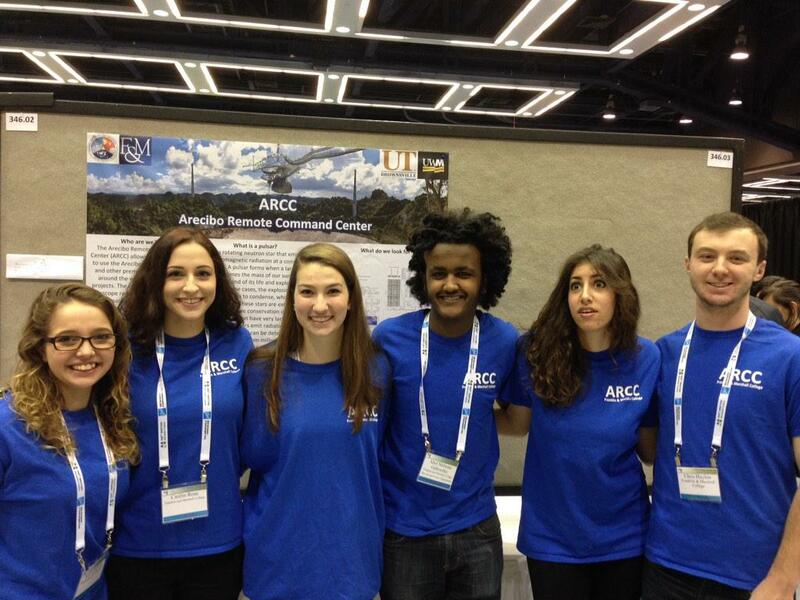 NANOStars students also search the data collected using a pulsar candidate viewer to identify new radio pulsars. These pulsars are then confirmed and further studied. If you are an F&M student interested in joining the NANOStars program, please contact Froney Crawford (fcrawfor@fandm.edu) to discuss. 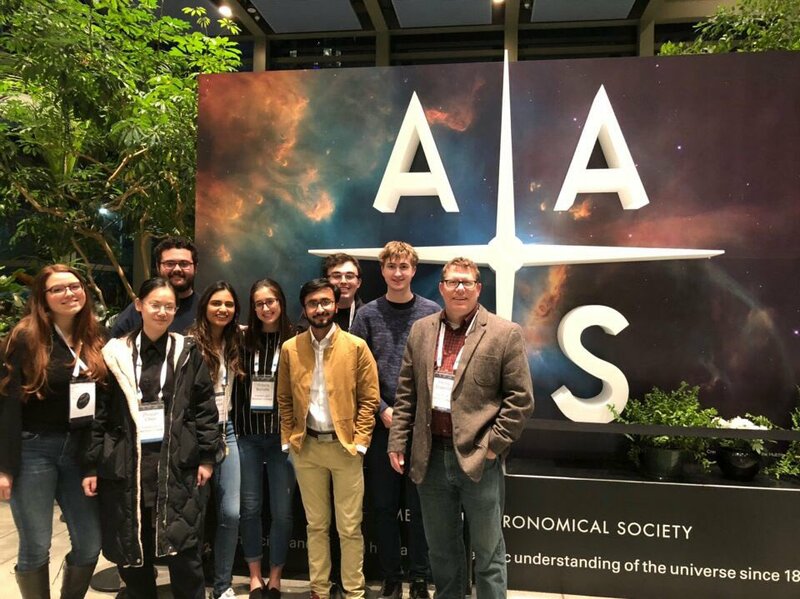 The NANOStars teams from the different NANOGrav institutions meet weekly to discuss science, present progress on research activity, and plan upcoming observing and data analysis tasks. Date: Fri Apr 5 and Fri Apr 12, 2019; Time: 12:30-4:00 p.m. Date: Sat Apr 27, 2019; Time: 8:15 a.m. to 4:15 p.m.